CREIGHTON, LETITIA (Youmans), teacher and temperance reformer; b. 3 Jan. 1827 in Baltimore, Upper Canada, daughter of John Creighton and Annie Bishop; d. 16 July 1896 in Toronto. Little in Letitia Creighton’s background suggested the prominent role she would play in public affairs. Her father had emigrated from Ireland with little money but managed to acquire a small farm, where Letitia was born in a log cabin. Soon thereafter Creighton and his American-born wife obtained a 200-acre lot about two miles from Cobourg. Here they built a larger log house and cleared the land prior to farming. Appreciating the value of both religion and education, her parents raised Letitia in the Methodist Church and sent her to school at the age of four. Educational facilities were rudimentary and for a time the young girl received her schooling from a hotel-keeper who tended to his commercial affairs between lessons. Although her father died of cholera while she was young, at 16 she was able to enrol in the Cobourg Ladies’ Seminary. A year later its principal, Daniel C. Van Norman, opened the Burlington Academy in Hamilton, where Letitia completed her education. A bright student actively involved in extracurricular affairs, Letitia Creighton was asked to remain at the academy as an English teacher upon her graduation. After two years her health declined and she became assistant at the Picton Academy. In that community she met Arthur Youmans, a widower with eight children who owned a farm and mills. The couple were married on 29 Aug. 1850 and moved to the countryside, where they remained for the next 18 years. Letitia ran a school in her home to educate her stepchildren. A bad loan forced the Youmanses to sell their country property. The children now raised, the couple moved to Picton and acquired a large brick house. 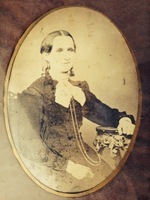 Letitia Youmans became involved in Christian education at her Methodist church, where her interest in temperance was first aroused. Although she had signed a pledge of total abstinence in school at the age of ten, she had not previously shown any interest in temperance. Alcohol-related problems she observed in Picton led her to introduce a similar pledge in her Bible class. Deciding that children in families suffering from intemperance needed greater support, she organized a Band of Hope, following the practice begun in Britain in 1847. Objections by non-Methodists led her to abandon the church building in favour of a hall, where the number of children swelled to over a hundred. Participation in a meeting of Christian educationalists at Chautauqua, N.Y., in 1874 initiated a chain of events that shortly brought Youmans into public prominence. The Woman’s Christian Temperance Union had been founded in the United States that year and temperance meetings were conducted as part of the conference. Youmans returned to Upper Canada inspired by her experience and founded a WCTU branch, the second in Canada, at Picton later that year. Youmans’s devotion to the cause of temperance was not predicated on personal experience. Her family life had never been disrupted by alcoholism, as had been that of many a contemporary woman. Her husband was a quiet man, who played no public role in her activities but provided personal support. Youmans was impelled by a sense of social responsibility to those affected by addiction. To her, temperance work forecast a new role for women in the interests of Christian service. It would allow them to carve out an additional area for their voluntary efforts. The Picton WCTU first aimed at abolishing liquor licences for retail shops but met with a rebuff. Undeterred, the women decided to secure local option (the disallowing of retail sales of liquor) under the Dunkin Act, an 1864 statute. In an arduous and frequently bitter campaign, Youmans and her followers were told to be wise as serpents and harmless as doves. Because Liberals were known to be more favourable to temperance than Conservatives, rumours spread that the WCTU women were political dupes of that party. A suit was filed against Youmans charging her with libel at a public meeting, but it was later dropped. Strength in the face of vicissitude bore fruit: Prince Edward County voted in favour of local option by a majority of 600 in 1875. The election of Alexander Mackenzie and the Liberals in 1874 had encouraged temperance advocates, who hoped for new and stronger anti-liquor legislation from the federal government. Youmans attended a temperance meeting in Montreal on this question in 1875. Fresh from victory in her home county, she was asked to speak. She then travelled to Cincinnati, Ohio, to attend the first annual meeting of the American WCTU, where her oratory electrified her audience. Later the same year she addressed women in Toronto and assisted with the formation of the first WCTU group in that city. Invitations to speak soon poured in and Youmans quickly emerged as Canada’s foremost female temperance organizer. Although the voters of Prince Edward County voted out local option in 1877, Youmans was not deterred. That year the various women’s temperance unions formed a provincial organization, the Ontario Women’s Christian Temperance Union, with her as first president. The members’ principal work consisted of persuading people to sign pledges of total abstinence and children to take an oath against alcohol, tobacco, and bad language. Temperance literature was distributed widely and petitions were circulated. The members also attempted to restrict the use of alcoholic beverages in churches and for medicinal purposes. Lobbying to have liquor separated from other items in retail stores and sales to minors made an offence, the organization advocated a reduction of licensed outlets. Youmans took a particular interest in having the provincial government adopt a temperance textbook for schools, and although she failed, others succeeded in 1886. She and a number of women undertook social service work with groups such as young women, railway workers, prison inmates, and soldiers and sailors. In 1878 the Ontario WCTU adopted a white ribbon as its emblem. Youmans’s role in the budding movement was as speaker and campaigner. Following the enactment in 1878 of the Canada Temperance Act, which permitted a majority of voters to opt for prohibition in their county, she participated in nearly all the Ontario campaigns to sway voters in favour. She also campaigned in New Brunswick and Prince Edward Island. Results in her home province were initially disappointing, then mildly encouraging, and finally distressing when all the counties that had favoured prohibition voted it out by 1889. Youmans also emerged as the international spokesperson for Canadian women and travelled frequently to the United States. 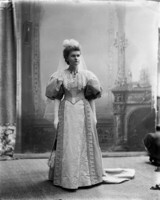 In 1880 she appeared before the Maryland Senate as part of a delegation in favour of local option. Youmans excelled on the platform, where her long, turgid, but emotionally inspired speeches based on biblical themes were enthusiastically received. Wherever she spoke she tried to form a new temperance union. In 1880, to assist her with travel expenses, the provincial WCTU hired her as organizer. The next year she gave thirty-seven speeches and helped to establish five unions. Inspired by Frances Willard and the American example, Youmans had expressed interest in founding a federal organization of women’s temperance unions as early as 1878. In order to undertake this responsibility, she resigned from the Ontario presidency in 1882, although she continued to serve on the executive. In five years the provincial organization had grown to include 96 societies and some 2,500 members, an expansion equivalent to the rapid growth that had followed the founding of the women’s temperance movement in the United States. The Dominion Women’s Christian Temperance Union was organized in 1883 but did not hold its first annual meeting until two years later, in Ottawa, when Youmans was elected president. By then, her successor as Ontario president, Adeline Chisholm [Davies*], had succeeded in establishing a women’s temperance newspaper, the Woman’s Journal. The death of Arthur Youmans in 1882 had led Letitia to sell her house in Picton the following year and later move to Toronto. Freedom from family responsibilities allowed her to augment her extensive travels. The Dominion Alliance for the Total Suppression of the Liquor Traffic, a male organization begun in 1877, invited her to Montreal in 1883, where she formed the first WCTU in Quebec. In that year she met Prime Minister Sir John A. Macdonald, who enquired how her home county had come to vote out local option. Lack of enforcement by the government was her reply. Then she asked when his government was going to implement prohibition. “Just as soon as men are sent to Parliament who will pass the law,” Macdonald responded coyly. In 1883 Youmans visited England and Scotland after the federal WCTU delegated her as their representative to the British Women’s Temperance Association. Seeking relief from asthma, she travelled to California, British Columbia, and the Prairies in 1886. Inflammatory rheumatism forced Youmans to restrict her temperance activities after 1888, and her last days would be marked by great suffering. In 1889 the federal WCTU elected her honorary president, a tribute to a woman whom they proclaimed as “the Deborah of the temperance reform in this Dominion.” Her tremendous energy, devotion to temperance, and oratorical skills had endeared her to innumerable women during a formative period in the development of women’s voluntary associations. Women had formed temperance societies during the first half of the 19th century, but, while the movement that Youmans led had similar goals initially, it differed in extent and continuity. Under her tutelage, the WCTU was less significant for what it achieved than for what it would become. At the local, provincial, and federal levels it provided a forum for women to meet together in a cause that eventually led them to support female enfranchisement. Although Youmans was highly acclaimed, neither her accomplishments nor her abilities allowed her to escape completely the shadow of Frances Willard, who remained at the helm of the American WCTU for nearly 20 years. Assuming her public role late in life, Letitia Youmans established the foundations upon which others would build. Letitia [Creighton] Youmans is the author of Campaign echoes: the autobiography of Mrs. Letitia Youmans, the pioneer of the white ribbon movement in Canada, intro. F. E. Willard (Toronto, ). AO, MU 8284–472, esp. MU 8398 (Dominion WCTU, annual reports), 1889–96, and MU 8404 (Ontario WCTU, minute-books), 1878–96. NA, MG 29, D61, 8583–89. Prince Edward County Arch. (Picton, Ont. ), AR984.19.1 (indenture, 1883); 81-34-5 (Yarwood scrapbook). Globe, 20–21, 23, 25 July 1896. Woman’s Journal (Toronto), 1885–96 (copies in AO, MU 8455). Cyclopædia of Canadian biog. (Rose and Charlesworth), vol.1. R. E. Spence, Prohibition in Canada; a memorial to Francis Stephens Spence (Toronto, 1919). Mrs H. G. Willies, The life of Letitia Youmans (n.p., n.d.; copy in AO, MU 8469, folder 5). Gazette (Picton), 27 Aug. 1975. T. A. Crowley, “CREIGHTON, LETITIA,” in Dictionary of Canadian Biography, vol. 12, University of Toronto/Université Laval, 2003–, accessed April 22, 2019, http://www.biographi.ca/en/bio/creighton_letitia_12E.html.